Barnes and Noble’s Nook GlowLight doesn’t have as many nifty features as the Kindle or Kobo ereaders, but one thing it does have that those don’t is the ability to easily set custom screensavers. #1. Connect your Nook to a computer with the USB cable. #2. Create a new sub-folder—name it whatever you want—and place it within the Screensavers folder on the Nook’s drive. #3. Place the screensaver images that you want to use inside the sub-folder. Then safely eject your Nook from the computer. #4. Go to the settings menu on your Nook and choose Screen > Screensaver Images > and choose the name of the sub-folder that you created. 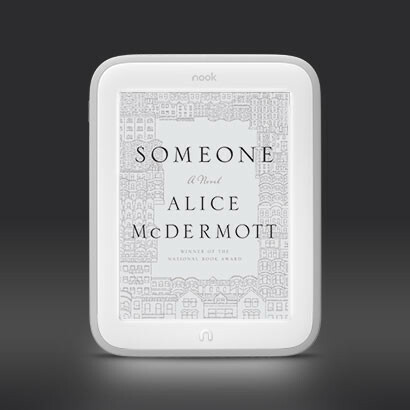 The Nook GlowLight will cycle through the images you placed in the sub-folder whenever the device is turned off. B&N recommends that the screensaver images be cropped to 800 x 600, and they need to be in GIF, JPG, or PNG format. The Nook GlowLight’s screen resolution is 1024 x 758, so they might look better at that size, but I tried both and they looked exactly the same. I don’t have one so have not tried this but it seems to be only for those who are comfortable with command line at this point. Yeah, I saw that yesterday too. It’s still a little over my head though, and it doesn’t actually install any apps or anything, so there still tons to do to get setup. Hopefully someone will create an easy automated package that adds Google Play store access and such in the near future.